Okay, I’m geeked now. I’m so geeked, I think I’ma start off with some geek-speak. You know how Goku on Dragonball Z goes from having black hair and black eyes to gold hair and green eyes when he goes Super Saiyan? Like, “Who is this guy? 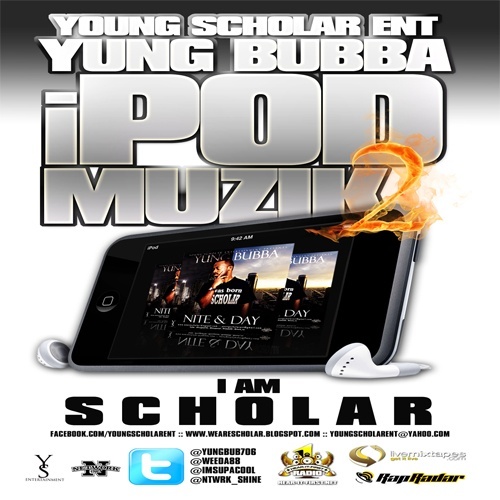 He ain’t the same as he was before…” Well, that’s how you’ll feel about John Bussie after hearing the first Ipod Muzik, then playing Ipod Muzik 2: I AM SCHOLAR. He proves he can do wonders on Ipod Muzik; wonders actually get done on Ipod Muzik 2. It’s a whole different sound than before. And, doing even more justice to the legacy of James Brown, Ipod Muzik 2 brings a soulful sound that wasn’t present on the first mixtape. I think “worthy” is an excellent way to describe this track. From the exceptional wordplay to the sweet guitar riff panned to the right speaker— and when I say sweet, I mean it instantly put me in mind of George Benson— More Than A Intro sets the table nicely for the rest of the mixtape. …Yeah, I never met a Delores in my whole life. Like I said in the Ipod Muzik review, tracks like these aren’t my forte. But I must say that this track supersedes She a Freak and Go Hard from the previous mixtape. Need more tracks like these coming out of the South. As a whole, it’s almost like people are afraid to be in their own minds. Afraid of a little solitude. They stay drunk, sexed up, surrounded by noise and otherwise distracted by any means possible to keep from… just reflecting. That ain’t healthy or natural. Speaking of drunkenness, Bussie himself introduces a little strong drink on the next track, Vodka Thoughts. Exceptionally descriptive language from this cat; I imagine I’ll be reviewing one of his projects in the near future. Paired up with Bussie on this track, M.C. helps to make this track one of the best presentations on Ipod Muzik 2.